Back to business. Yes, data is a little dated (by a week). Expect another delay before the next installment of MLS attendance stats. For this week I wanted to have you pay close attention to New England's attendance. Notice that they have a higher than normal average (17.751) and also a good change from last year (+964). However, NE suffers from inconsistent attendance. Note that their median is 12,060 and that they've had 3 games less than 10,000. Columbus has enjoyed better attendance in the past few games due to their amazing form. I also leave you with a look at the mean vs median for the eastern conference. Except for NE and NYRB, most teams have pretty steady numbers by these standards. That's right. Sixto Vizuete, coach of the Ecuador national team. 5 qualifiers, 2 wins, 3 ties and 0 losses. Unbeaten against Argentina (in Buenos Aires, no less) and Uruguay (Montevideo). Things are farm from being over and there is still a lot of terrain to be covered in qualifiers. A game against Chile in Quito awaits "la tricolor" in October to close out the first 9 matches of the herculean 18 match road devised by Conmebol as a prelude to FIFA's World Cup. But why is it so important at this point? Well, the old order that included Reasco, De la Cruz, Kaviedes, Tenorio and Co. have stepped aside for a new group of players that have carried out a renaissance of Ecuador futbol. The same few that helped Liga de Quito to Ecuador's first Club Championship form the backbone of the team--from Urrutia to Bolanos to Cevallos and Guerron. Cevallos is actually a 37-year-old veteran of the 2002 campaign but has enjoyed renewed spirit and play, not to mention an uncanny ability to stop penalties. Back to Vizuete. Here's a coach that came out of nowhere. He played for Deportivo Cotopaxi (didn't know they existed but apparently they were in Ecuador's first division for at least one season). He coached the youth systems of the ESPOLI team and then the U-17 national side. This is where it gets interesting, for after failing to enter the U-17 World Cup he coached the same team that won the Pan American glod medal and thus the first ever footballing title for Ecuador. Following that came his opportunity as interim head coach when Luis Fernando Suarez resigned after 3 straight losses and a goal differencial of -10. 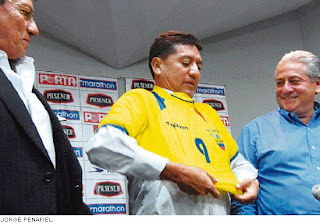 Suarez, coach of Ecuador in the 2006 qualifiers and the World Cup failed to earn a single point in 3 games in the Copa America in Venezuela 2007. Suarez was a good coach but very single-minded and uninventive when every team learned his scheme. The 2010 campaign with him was terrible in that he lost the opening match in Quito to Venezuela. 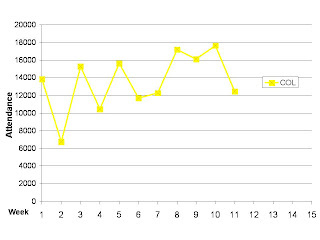 Losses to Brazil (Rio) and Paraguay (Asuncion) were understandable but the margins were a bit ridiculous (5-0 and 5-1). 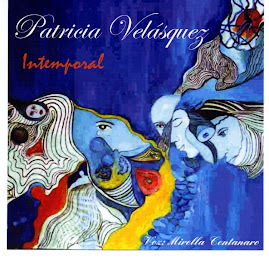 Enter Vizuete. 5-1 win against Peru with just two days from the resignation of Suarez and his last game with the team. He was given full coach status earlier this year. Then came a 1-1 in Argentina for a game they could have won in Buenos Aires before an unfortunate tying goal in the 4th minute of stoppage time. An unfortunate 0-0 followed against Colombia in Quito and my fears (and another 13 million's) arose again. But the past couple of games showed that he's a masterful tactician, at least for now, with impressive defensive performances. A goal differential of +6 under his tutelage doesn't hurt either. Added to that are 3 friendlies: 3-1 vs Haiti, 0-2 vs France (Paris) and 1-0 vs Colombia (New York). So for those nay-sayers out there, this coach has defeinitely played a good variety of foes and his only loss came against mighty France in Paris. In short... I'm a fan. I hope to remain a fan. I'm still very doubtful about our chances for a direct entry into South Africa, but a 5th play-off spot against CONCACAF may be within our reach if the team continues to perform as it has for the last 5 matches. As we start looking towards World Cup qualifying not only in the CONCACAF but in CONMEBOL, UEFA and beyond some of the strain in attendance numbers may be felt as fans are notified that their favorite player will not be on the pitch. Then again, an electrifying performance by team USA in the semifinal round of CONCACAF may attract more attention to the national league. Also, let's keep in mind that that other football has taken to the fields as well and plenty of attention will go there as well, not to mention ugly lines on fields that should not be used for soccer. Added is the end of a long summer hiatus in the world's top leagues, i.e. England, Italy, Spain, Germany, and Co. 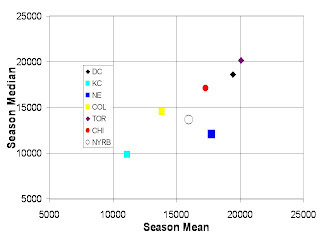 So what does this slew of factors mean for MLS attendance? From my humble numbers/analysis.... not much. Not yet, at least. Or maybe, just maybe MLS has finally found its niche and worry should be placed on the international status of the league (the Concachampions, salary caps, designated players). One more point before I go... Columbus. Notoriously low in numbers for most of the season has shown great promise in the past few games as their great form has transcended onto the stands. The last 3 out of 4 home games have had numbers above 16K, and 2 of those, against KC and FCD weren't exactly against high-caliber oponents. I leave you with the Crew's individual numbers. Concachampions: straight apathy or are we that bad? 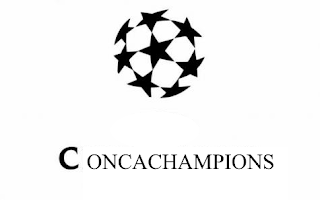 Concachampions, i.e. the newly formed "champions league" of the North, Central America and Caribbean Federation (CONCACAF) has started with a fizzle when it comes to MLS. Apathy? Yes, perhaps. The Concachampions (as the media likes to call it) happens to lie at a crossroads of final games in the regular season for MLS (and yes, no actual "league" like in European soccer) and the play-offs. Teams like New England (2nd in the east and arguably one the best teams in MLS) and Chivas are preparing for the gruellengly annoying post-season. The Goats are actually out of play-off contention so you'd hope they would at least try against a limited Panamanian side. So there's the scores: Joe Public 4 - NE 0. Think SuperBowl and the Miami of last season against the unstoppable Patriots (prior to the superbowl). Then think Miami beating New England 60-0. Weird, heh? That's right. That's how it went down tonight. NE players didn't take it seriously and lacked any cleanliness in final touch, Matt Reis looked like he was playing with kids in his backyard and the defense was more interested in the upcoming football (gridiron) season than in this game. Chivas was a bit different. Preki played a sneaky game with lots of attacking options. So what happened there? Well, theirs is a different tale. . . Kljestan missed a penalty early in the game (yes, the same hero of the Olympics), the Tauro (Panama) goalkeeper wasn't ejected, and Jonathan Bornstein was red carded. And where some teams would have come back from such adversities to win a match against a "group of friends," as Andres Cantor likes to call them, from Panama, the USA Goats faltered and faded and remembered that there is much more to play for inside MLS. What's wrong with this picture? Well, this tournament was suppose to showcase the American league's dominance (if at least a 2nd to Mexico) in the region. We are left with DC and Houston. Those are more dominant sides that know how to play abroad and get the results needed. The group stage will be played in the midst of end-of-season games and play-offs and we're left wanting more answers from our MLS officials. I agree with claims that the league's teams are just not deep enough and that the way the pay goes these days there's not much room for improvement. I'll give them that much. But they should also remember that winning this tourney gives you the opportunity to play competitively against the best in the region and that the end result of winning the title lets you play against the best in the world in the World Club Tournament. MLS must not look inwards. Some attention should be payed to the scheduling of these Concachampions games but the rest is up to the teams and to the fans. Let's move on from the baby days of a wannabe league that everyone scoffs at. We have real stars these days and export real stars worth $10 million. Club football doesn't end with MLS but instead becomes more with international tournaments. WHy is it so nice then when Barcelona plays Manchester United? It is my hope that we can address some of these issues soon or stars that were toying with the idea of MLS play may think twice and choose to play in the Emirates, Bahrein, Saudi Arabia or Quatar*. * Those are all fine leagues with fine pay by the way, just not anywhere close to the USA soccer fans.